My heart says that it's time to decorate for Christmas but my husband has forbidden me from getting out my tree yet, so I guess I'll hold onto my pumpkins a little bit longer. 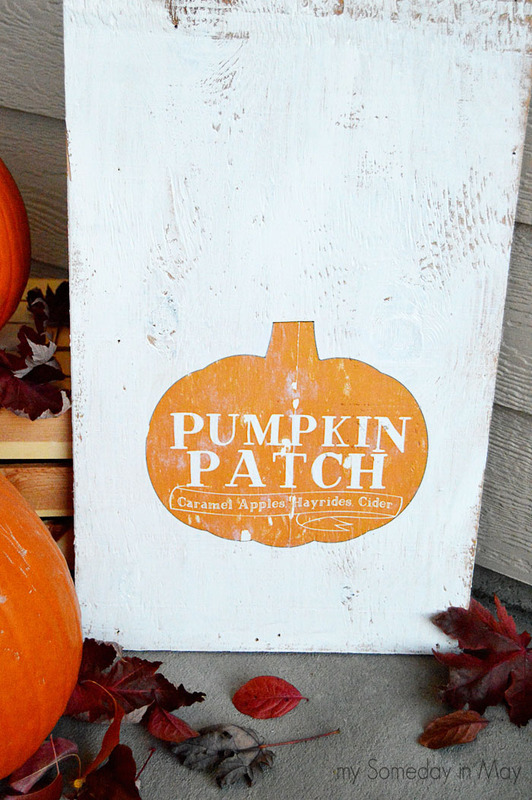 I made this fun pumpkin patch sign and I thought I'd show you how I put it together. First you'll need to print out my template HERE. You'll have to cut it out and tape it together. It is printed backwards so that you can transfer it onto your sign. Next you'll need a board of some kind. I looked through my husband's wood scraps till I found something I wanted. I painted it white and didn't worry about making it perfect because I wanted it to look distressed. 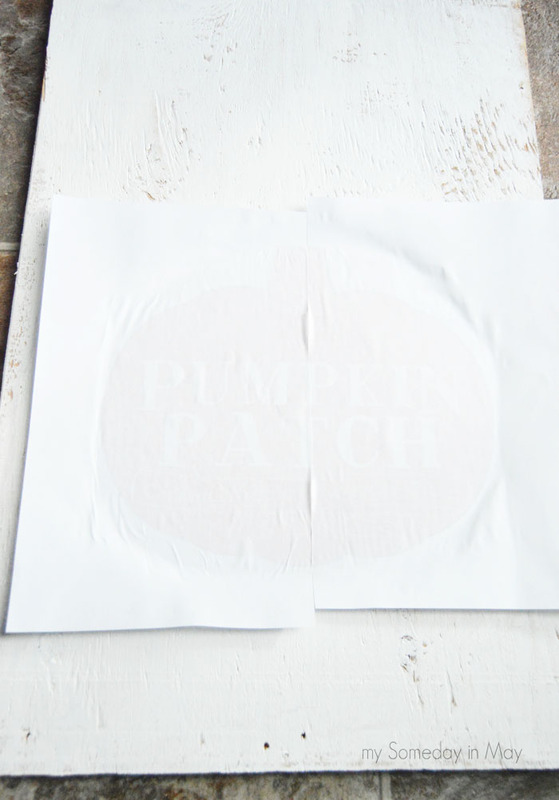 Now take your cut out and taped template and smother the pumpkin with ModPodge. Then press it against your board and let it sit overnight. Then take a wet washcloth and very gently rub away the paper. 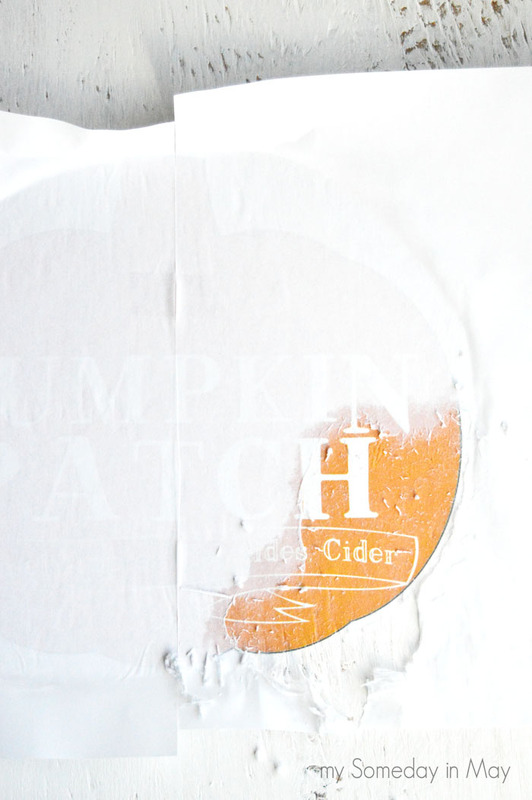 You'll notice there are a couple of spots that it rubbed away the design. 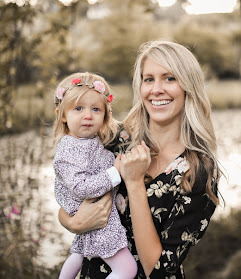 I didn't cry about it because I was going for distressed but be very careful! 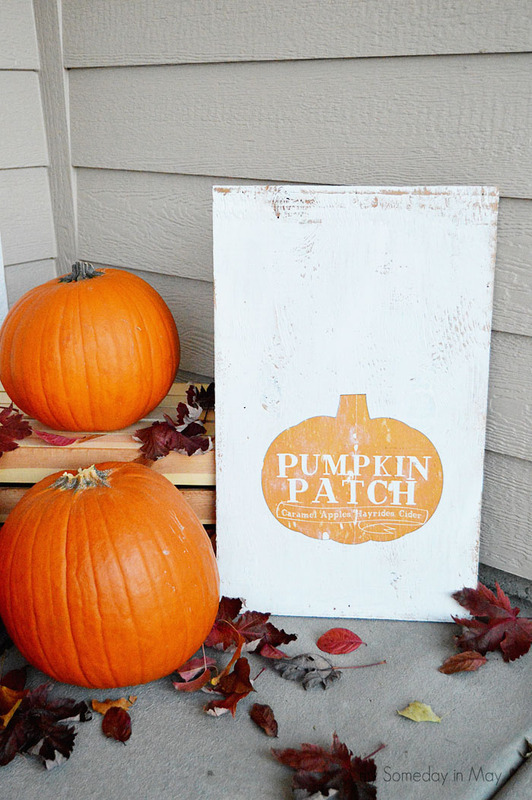 Finally, I put some Modpodge over the top to seal it and then put it on my front porch with my pumpkins. Easy, right? 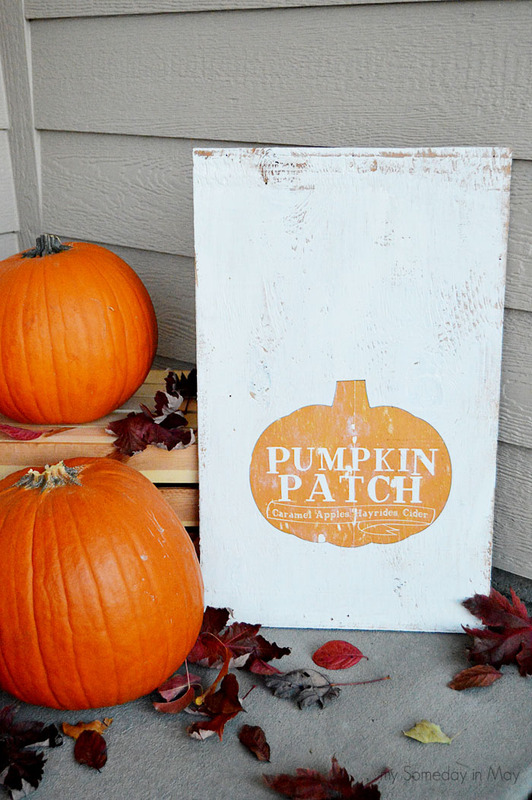 I love all things pumpkin! 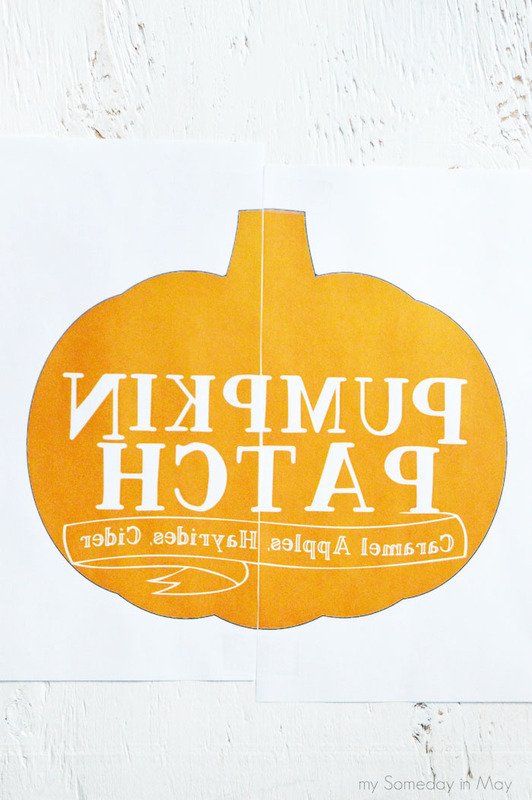 Here's to keeping my pumpkins into November. Thanks for stopping by friends!